Just got out of a presentation by Josh Higgins and Dan Ryan, two of the technical leads on the 2012 Obama campaign. Really great presentation on designing and optimizing campaign tools using the latest and greatest in web development techniques. Campaigns have three goals: (1) raise money, (2) persuade voters, (3) get out the vote. The tools built in 2012 made that campaign 28% more effective than the '08 campaign. The campaign was won by volunteers' "boots on the ground," but really good tech acted as a "force multiplier" for limited volunteers. The team would run 16 or more A/B tests in a day. More than a thousand tests over the course of the campaign. Each test needed a clear question and hypothesis so that there would be permanent learning from the experiment. The campaign raised $690,000,000 online, and average of a little over $100 for 4 million donors. This was the first campaign to raise more money online than off. $125,000,000 of that total was due to testing -- improvements in interventions that earned more money. Spending lots of time on beautiful design didn't always work. "Sometimes ugly sells." Lots of predictions were wrong. "Don't think you know anything until the data tells you so." The facebook tool for "social canvassing" was "creepy awesome": given user permissions, the tool would crawl your timeline and all your friends' profiles, to identify friends who are (1) socially close, and (2a) physically close or (2b) in a battleground state. Close to election day, the app sent reminder messages (lots of them!) urging volunteers to remind their friends to vote. Based on the voter file, 5 million facebook volunteers mobilized 7 million facebook-only voters -- voters for whom facebook was the campaign's only method of contact. In the end, Obama won the popular vote by 5 million votes. "This was our way of knocking on doors." "We won the popular vote with facebook." Targeted splash pages during the conventions doubled the take from fundraising with half the asks. "Drunk emails before midnight": on drinking holidays (New Years Eve, St. Patrick's Day, etc.) the campaign would send to previous donors mails (subject line: "Hey!") with a one-click donation link. "We raised millions." Way to target the perfect moment! Custom data tools that worked particularly well: narwhal, the campaign's unified data warehouse; quickPayment, a database for storing required FEC info to take the friction out of donations. Great example of the power of data and fast development cycles. 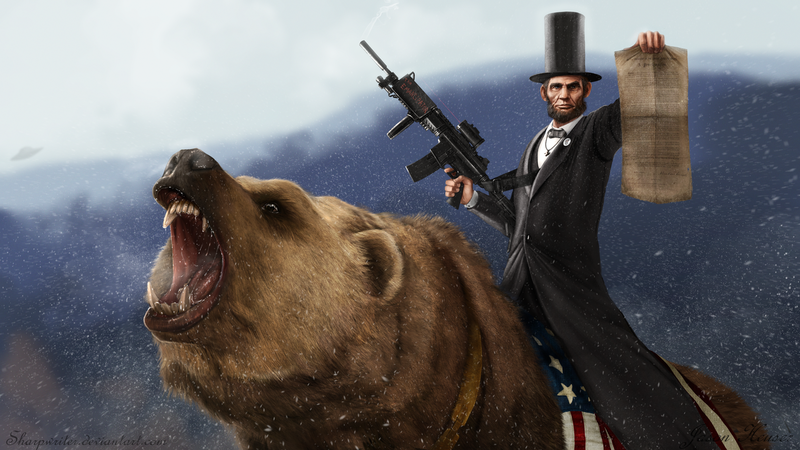 PS: I want a picture of a triumphant Obama riding a narwhal, in the style of Abe Lincoln riding a bear. What does "28% more effective" entail? @Zev: I had the same question, and they never answered it directly. I expect it was a percent increase in donations per email, or something along those lines.